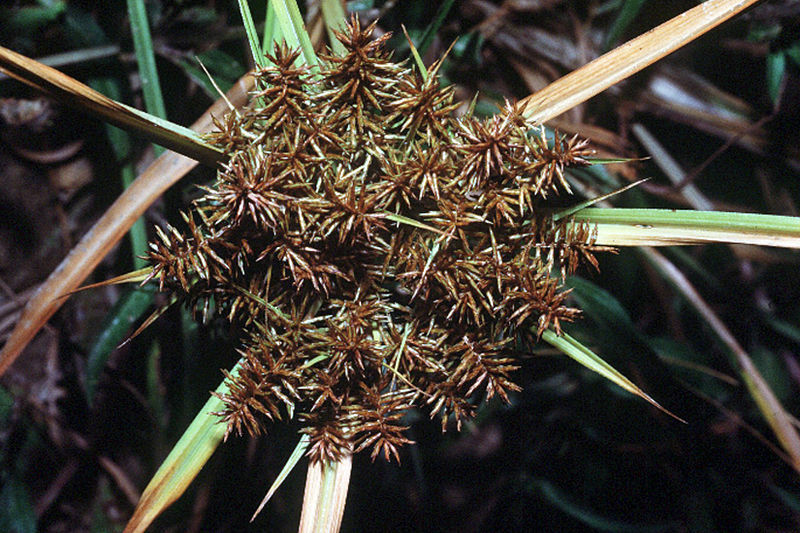 Cyperus erythrorhizos is an annual C4 sedge (Li et al. 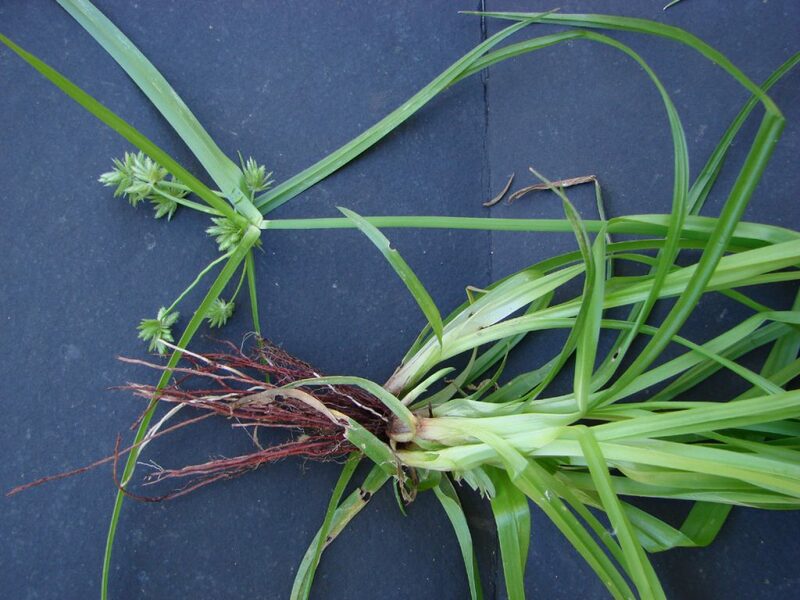 1999), 10-70 cm tall, tufted, stems stout, roots red. Leaves crowded near base, blade 0.2-0.9 cm wide, elongate, sheaths purple at base; inflorescence bracts 3-7elongate, pale on lower surface. Flower spikes 1-4 cm long, bottle-brush-like, spikelets 0.3-1.2 cm long, about 0.1 cm wide, axis winged, persistent, scales green-keeled, side gold-brown; inflorescence stalks radiating from top of stem, the outer to 7 cm long the central spike stalkless; blooms and fruits Aug.-Oct.
Cyperus erythrorhizos.U. Cal.Butte Creek Ecological Preserve.www.csuchico.edu (Accessed 12/2016). Fruit: Achenes whitish unequally 3-sided to 0.1 cm long. Frequency in NYC: Rare (NYS S3, R). Habitat: Stream banks, wet soil.